Eyes down for a fun-filled year! Well, firstly, I can’t believe it’s the end of January…I mean, one minute I’m watching the fireworks on television in London’s new year eve display, and the next, I’m seeing longer days, and even – as the climate seems completely messed up these days – the first shoots of Spring poking through in the garden! Either I blinked and missed the last month, or it was one hell of a hangover! Regrettably, I think it was the former….sigh…. Anyway, as ever, I’m playing catch up here and trying to get a few things on the record to sum up last year and some of the plans for the forthcoming 12 -24 months. To speed things along, I’ve tried to break it up a bit. It’s always nice bumping into your pictures around the place – for example, this week I found a bunch of wolf ones used by Bloomberg…thank you Getty…but some grab the attention more than others. 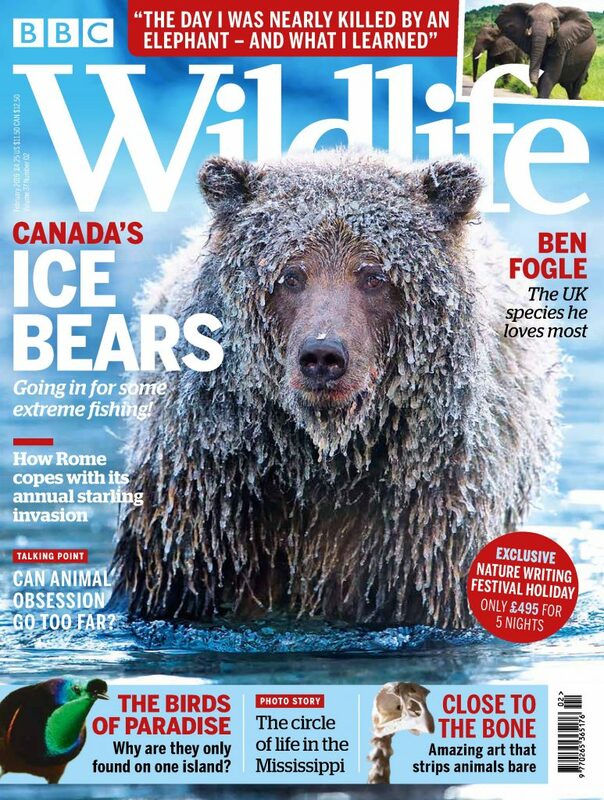 For me, it was the February edition of BBC Wildlife, where not only did I manage to get one of Yukon’s ice grizzlies on the cover, but also a whole batch of pics inside to accompany the article by Isabelle Groc. If you’ve not picked up a copy – dig one out of the bookshelves at your local store. The Yukon ice bears is an impossibly hopeless trip to try and get on – our friends who own the two small cabins up there are completely booked for many years in the “prime weeks” when the ice is best. Also, it’s very hit and miss. In fact, if you don’t go as late as possible, the chances of seeing bears with ice is pretty low – you’ll see great bears, but not the experience you want…so don’t let those naughty tour companies tell you otherwise 😉 If you want advice, come to me and I’ll freely dispel the myths they spin you! 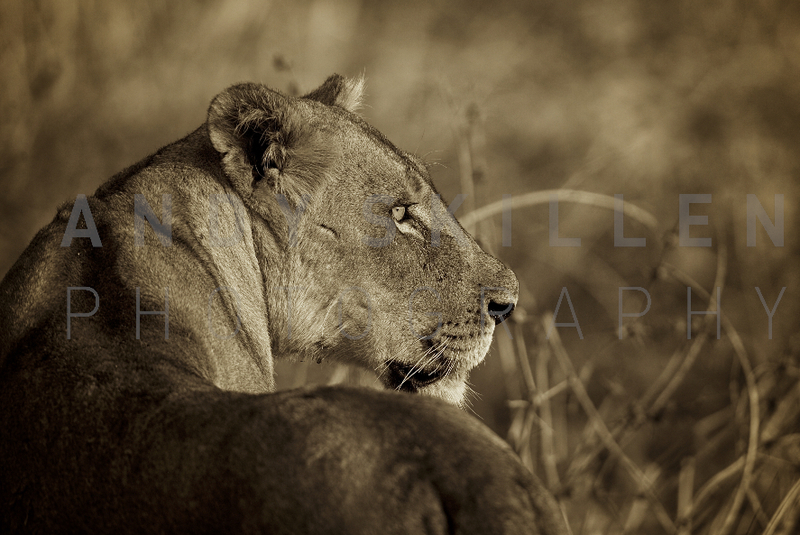 This year’s guided safaris have long been filled, and I’m excited to be taking all of these as the year unfolds. In between, I’ve got some great commission work lined up in Tanzania and Borneo most immediately, and from there to all places Africa, polar and Pacific. Rest assured though, if you’re on a trip…I’ll still manage to get there to lead it! In that regard, I’m delighted to say that Churchill Wild have asked me to lead an extra departure for them this year in November at Nanuk lodge, so I’ll be covering the Dual lodge, one 8 day and one 7 day departure come the autumn. If you’re on any of those, then feel free to contact me directly for some thoughts and ideas in advance of your trip in terms of the photos! We had some great encounters last year – as you can see by the pic at the top of the page – and in the next few months more detail will emerge on some of those as the stories get written and the pictures come out more fully. Many pictures are now at the end of their runs, or have disappeared, and I’ve been busy releasing a selection more into the galleries. I hope you’ve had the chance to look through. An all time favourite – Lazy Days – is now finished, but the Artist Proof remains available – contact me for price and detail on that. Last year saw a whole batch of private commissions , and curiously more “bespoke” one off images than limited sales! It’s always fun to work with purchasers with a vision of what they want, and I had some great fun fitting out a range of establishments with a style they wanted., from Docklands penthouses to country estates the size of Downton Abbey. Needless to say some were more challenging than others, but it was a busy year and it’s always great to see the images as I always wanted – big, and on a wall! We’ll be showing pictures at Hampton Court Flower Show this summer and also Burghley Horse Trials in September, and discussions are ongoing for another show at year end in London. All of these are building up to a month-long exhibition at the RAC Club in London’s Pall Mall – one of the city’s most prestigious venues – which will take place in May next year. I’ll keep you posted in the e-newsletter on that. No, not what we’ve actually SEEN…but more news of a twice-yearly magazine that I’m going to be making digitally available starting this year. 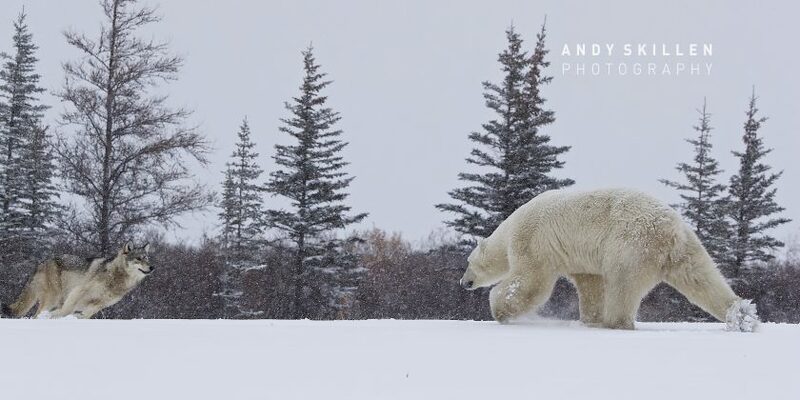 Called “Sightings” the idea is to have a completely gloves off, unbiased view of the world of wildlife and I hope you’re going to get to enjoy it. Free to view online, I’m sure it’s going to be something that really catches the imagination, and having discussed the concept with a whole team of creative types, we’re itching to get going. So, we’ve a few spaces left on our 2020 trips – if you get the chance to take a look at the Guided Safaris page, then please do and see if anything grabs your attention. Our policy of small group, cost effective and targeted adventures continues, and we’re looking to add two landscape (yep, you read me right!) trips in for next year now also to cater for all of you who yearn for vistas of the non-fauna kind! I am discussing this with two excellent specialist landscape photographers – dominant in their geographical regions – so that they run like all the wildlife trips, and we’re pretty close now to getting this organized. More in the first issue of “Sightings” in fact! For the wildlife, it won’t surprise you to learn that I am already fleshing out the 2021 programme…and whilst I’d love to let you know what it was here, I don’t want others to try and steal our thunder (as we’re starting to see elsewhere 😉 ) , so for now, I’ll have to keep things quiet until all organized. Rest assured, there’s going to be some stuff on there you’ve never even considered! The year 2018 finished with a whole range of talks, and this year has started in much the same vein. Thanks to Reigate Photo Society, Ludshott Camera Club, Guildlford Photo Society, Wallington Photo Society, Pinner Camera Club and the RSPB who have all hosted me in the last two months. I’m also delighted to have (hopefully!) entertained nearly 450 people in the main auditorium at Kensington Olympia in January during the Adventure Show. That was a great fun afternoon, and the crowd were excellent (indeed, as they have all been at every venue I’ve spoken at!). I’m pleased to say, many more talks are lined up for this year and also into 2020, so if you’re keen, then drop me a line and I’ll see where we can fit it in. Right, that’s about it for now…more on the wolves and bears soon, and when the first edition of Sightings is out….you’ll be able to link to it from the website.